"Liverpool have sometimes found themselves overrun with only two players in midfield"
Saturday 12:30, Sky Sports Football. Match Odds: Bournemouth [5.7], Liverpool [1.64], The Draw [4.6]. Bournemouth have caused both Manchester United and Arsenal serious problems in the opening stages before falling to home defeats, and also started brightly against Manchester City last weekend before fading. 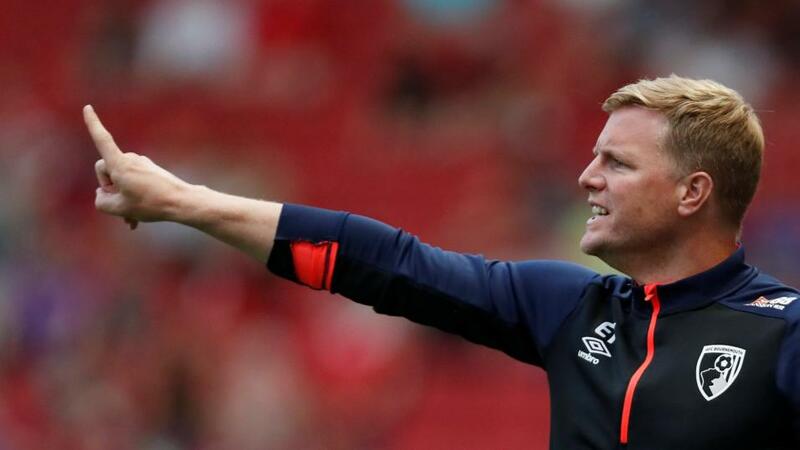 There's a danger Eddie Howe's side might do something similar here. The Cherries are excellent at taking the game to the opposition in the opening stages, but a combination of defensive lapses and openness at defensive transitions means they don't always get the results their passing football deserves. Liverpool, who are excellent on the break and who rally late on - as their win at Burnley in midweek demonstrated - may punish them here. It's a measure of Liverpool's consistency that, for all Bournemouth's impressive football this season, they're fully 16 points behind Jurgen Klopp's side after just 15 matches, and while they have good memories of this fixture and a 4-3 win two seasons ago, something similar feels unlikely against a much-improved Liverpool defence. Bournemouth's system here is uncertain. They played a 3-5-2 - or perhaps more 5-3-2 - for last weekend's trip to the Etihad which allowed them to stop Manchester City's build-up play effectively. The danger here is more about balls into the front players, but Howe still might favour a back five against a Liverpool side essentially playing four outright attackers, now Xherdan Shaqiri generally plays from the right with Mohamed Salah moving upfront. Roberto Firmino drops a little deeper with Sadio Mane on the left. Bournemouth will have to stay compact, and Jefferson Lerma will have an important defensive midfield job to perform. Bournemouth's real quality, of course, is going forward. The problem with the 3-5-2 is that it means dropping one of David Brooks and Ryan Fraser, with Josh King and Callum Wilson playing upfront. An alternative is 3-4-3, which would allow Brooks and Fraser to drift inside either side of Wilson, whose link play has been excellent this season. He and Fraser have combined for goals more than any other combination in the Premier League this season. Liverpool have suffered a defensive blow with the news that Joe Gomez will be out for a few weeks. That means Dejan Lovren or Joel Matip partnering the excellent Virgil van Dijk. In the full-back positions, Trent Alexander-Arnold and Andrew Robertson have both been serious attacking forces this season. Klopp's problem in recent weeks, though, has been in midfield. Liverpool have sometimes found themselves overrun with only two players in that zone, although James Milner is in good form and Naby Keita was excellent at Burnley in midweek. Could Klopp revert to 4-3-3 to cope with Bournemouth's midfield passing quality? I think this game might take a familiar pattern for the home side, with the Cherries dominating in the early stages but the bigger side taking charge after the break. I'll back Draw / Liverpool in the Half-Time / Full-Time market at [5.4]. Eddie Howe’s men ended a run of four consecutive defeats with a 2-1 victory over Huddersfield on Tuesday and they welcome second placed Liverpool to the Vitality Stadium who will be looking to apply some pressure and move ahead of Manchester City with a win here, albeit maybe just for a couple of hours but City face a tough away day at Stamford Bridge later. The Reds dominated Bournemouth last season winning at Anfield (3-0) and away (0-4) without conceding a goal and winning by a combined scoreline of 7-0. However, the Cherries have been a different proposition in front of goal this season and have scored in 10 of their previous 11 starts and away from home Jurgen Klopp’s men have kept just two clean sheets. There is every reason to think that if Liverpool are to take maximum points here they may well have to score at least twice. The good news for them is that the home side have conceded in their last six starts so there appears to be every chance of a few goals here. Unfortunately, the markets are all too aware of the goal expectancy in this one with Over 2.5 goals trading around [1.7] and Both teams to Score is around the same price ,the goals markets offer little appeal to me. I think Liverpool will ultimately get the points, so I am going to dutch back a couple of scorelines; Liverpool to win 2-1 at [9.6] and 3-1 at [14.0] in the correct score market giving combined odds of around [5.7].